As a Long Term Support (LTS) release, this new Ubuntu Linux version will be a particularly important one for businesses. Here's an advance look at what the new OS--due on Thursday--will offer desktop users. 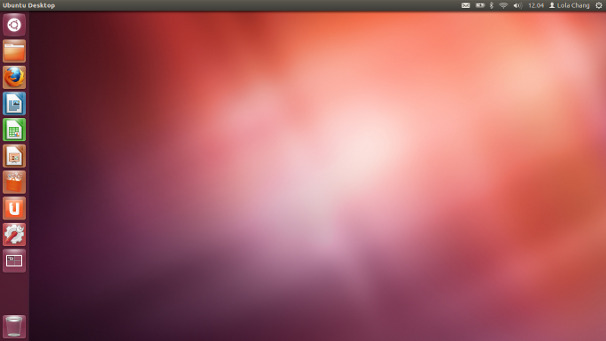 A full 18 months have passed since Ubuntu Linux's controversial Unity interface made its debut, but for many business users, the new Ubuntu 12.04 “Precise Pangolin” will be their first experience with it. That's because this new version is a Long Term Support (LTS) release--the fourth in Ubuntu's history so far--with support for a full five years on both desktop and server. Named for the scaly mammal found in tropical regions of Asia and Africa, Precise Pangolin has been anticipated with particularly widespread excitement in part because of that longer life, but also as a result of the myriad improvements and new features it promises to bring. Besides a new kernel, beefed-up security, and a raft of other updates, Ubuntu 12.04 features a newly refined and mature version of the Unity interface it first introduced all those many months ago. Of course, for those who enjoy checking out the cutting edge, Ubuntu 12.04 brings something brand-new to the table as well in the form of the new Head-Up Display interface, which aims to give users a way to interact with the desktop without having to navigate the menu system. 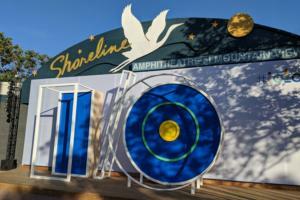 All in all, Precise Pangolin promises solid stability seasoned with a glimpse at the future, representing what Canonical founder Mark Shuttleworth has said is the first time the free and open source operating system has beaten Windows and MacOS to the proverbial punch. Want to see more before Thursday's official release? Read on, then, for a taste of what's to come. 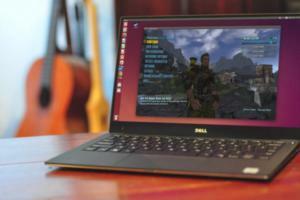 There's no denying that Ubuntu's Unity interface has been controversial--particularly among longtime users--but in this new Ubuntu Linux release, it reaches a new level of maturity. The "Appearance" panel in the software's system settings lets you more easily configure the interface, for example, and the Unity launcher now also includes Nautilus quicklist support. Under the hood, meanwhile, Ubuntu Linux 12.04 includes an updated Linux kernel and an updated AppArmor patch set for better security. 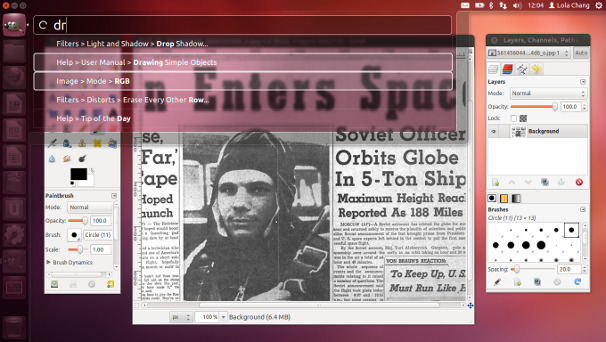 Perhaps most exciting about Ubuntu 12.04 is that it offers an early look at the new Head-Up Display (HUD) interface that was announced earlier this year. Focusing on users' intentions, the new interface responds to what the user types in a search box with a list of commands for potential invocation, and is capable of fuzzy matching and learning over time. 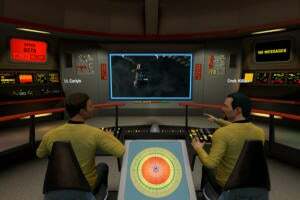 To access HUD, users simply press the Alt key and type a description of what they want to do; the software then returns a set of corresponding commands. Traditional menus are still available as well, however. Mozilla's free and open source Firefox is the default browser in Ubuntu Linux 12.04, which has also been updated with support for ClickPads, or trackpads on which the physical button is integrated into the trackpad surface. 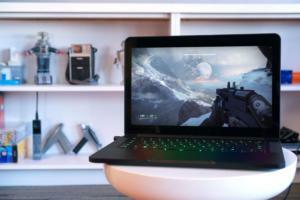 Most Synaptics ClickPads are now recognized out of the box, as are Apple MacBook trackpads. Support for Apple Magic Trackpads and more Synaptics brand devices is planned for a future release, the Ubuntu team says. Like its recent predecessors, Precise Pangolin will include LibreOffice as its default office productivity software suite rather than OpenOffice.org, which was long the default choice. Included in this version is LibreOffice 3.5, a free and open source alternative to Microsoft Office that was recently updated for improved stability and security. 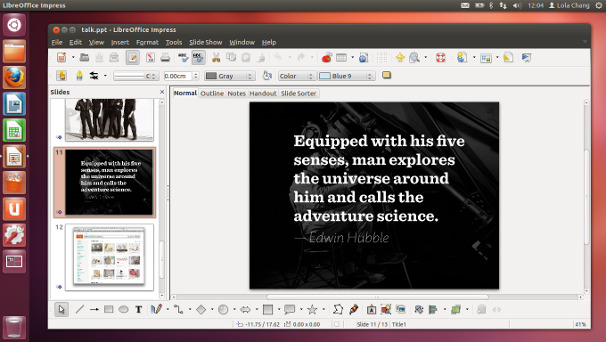 LibreOffice's Impress module, shown here, allows users to create and view a variety of presentations; other modules are included as well for word processing, spreadsheets, and more. 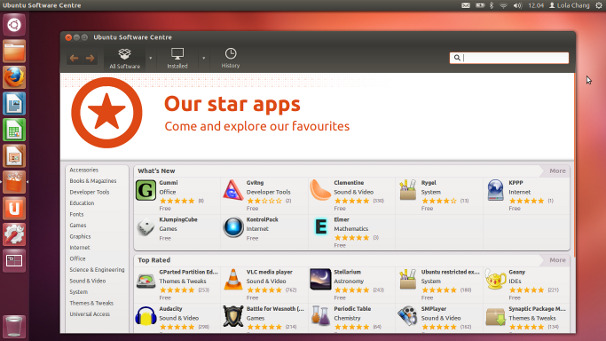 The Ubuntu Software Center is where Ubuntu Linux users can go to discover and download additional apps for their computer, and Precise Pangolin adds several enhancements to this powerful tool. For example, any relevant language support packages--including translations and spell check modules--are now installed automatically alongside downloaded apps, thus saving users the trouble of having to open "Language Support" after installing new software. Like Ubuntu 11.10 “Oneiric Ocelot,” Precise Pangolin includes Shotwell for managing photos. 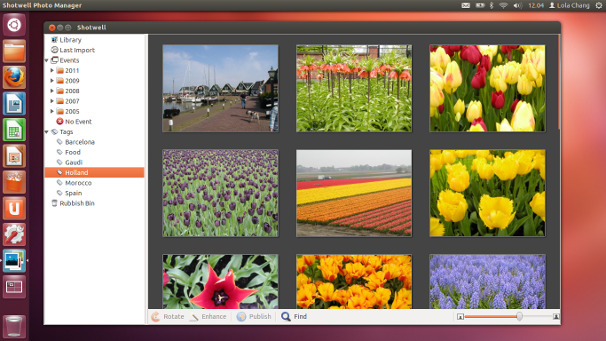 Shotwell is free and open source software for importing, organizing, editing, and publishing a wide variety of photos. The latest release of the software is version 0.12, which adds a “straighten photo” feature among many other improvements. 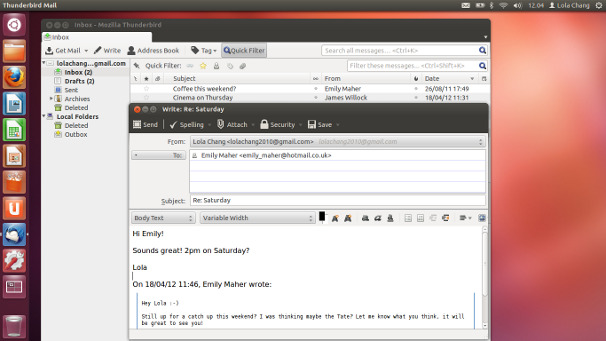 Ubuntu fans may remember that version 11.10 of the software replaced Evolution with Mozilla's free and open source Thunderbird software for email, and Precise Pangolin continues with that cross-platform choice. Now in version 12, Thunderbird is designed for ease of use; in fact, it no longer even requires that users know their IMAP, SMTP, or SSL/TLS settings. Instead, all users need do is provide their name, email address, and password, and a Mail Account Setup Wizard will figure out the right settings. 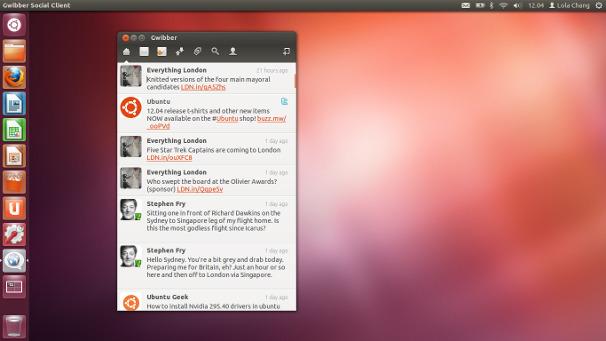 Free and open source Gwibber software serves as Ubuntu Linux 12.04's microblogging client. Gwibber supports many different social networks and provides a combined stream of all your messages; it also automatically shortens the URLs you paste in. HTML themes let you customize Gwibber's look and feel, while a multicolumn user interface makes it easy to view multiple streams. Also worth mentioning is that Ubuntu 12.04 is expected to add new privacy controls at the operating system level that let users delete portions of their activity log, disable logging altogether for certain files and applications, or completely disable activity logging across the board. 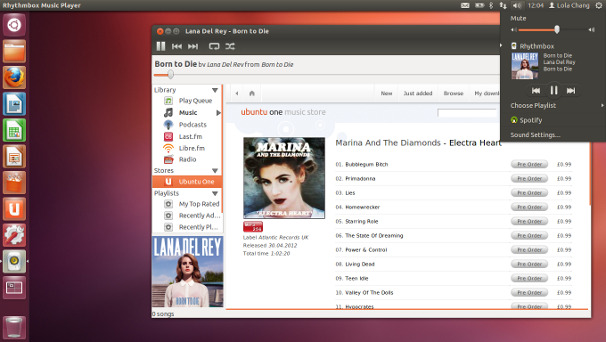 For music, Ubuntu Linux 12.04 includes the free and open source Rhythmbox package, while the Ubuntu One personal cloud service makes your music, data, and other content accessible across devices from wherever you are. 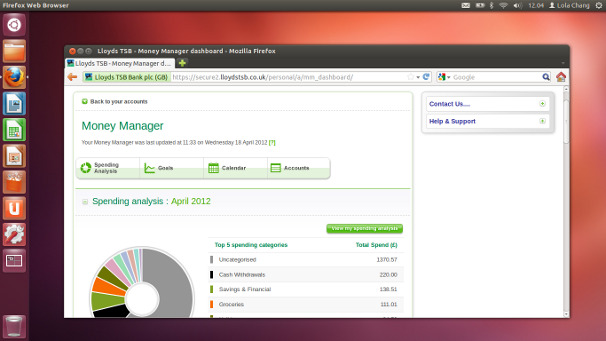 Canonical offers 5GB of storage for free through Ubuntu One. New in this latest release of the software is a control panel featuring an installer, setup wizard, and the ability to add or remove folders to sync. 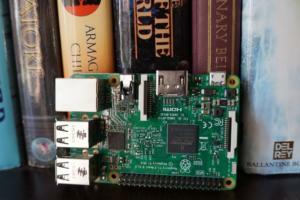 Who Uses Ubuntu Linux, and Why? Survey Offers New Insight.